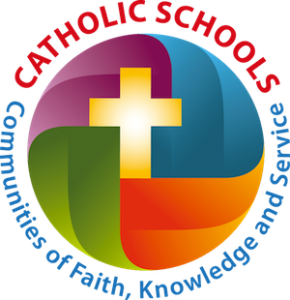 Are you interested in helping Sacred Heart St. Francis School raise funds in order to continue to provide a quality education and affordable tuition? Would you like to be involved in a program that has successfully raised between $75.00 and $100.00 per student? Race for Education is an annual walk-a-thon, which involves students walking around a designated area for one hour. The success of Race for Education is based on students bringing in the names of people who are potential sponsors for the walk-a-thon. However, there is no “house-to-house” sign-up of potential sponsors. It is all done by filling in a label sheet of names. For every 10 names that a student brings in, our school should receive at least $75.00 in contributions. Potential sponsors may be family members, relatives, close friends, and neighbors. Special emphasis should be placed on out-of-state relatives and friends. Also, the people you do business with are a great source of names, e.g., barber, dentist, doctor, piano teacher, etc. Our Race for Education will be held on Tuesday, May 14, 2019, at a location to be announced. There are incentives and prizes to help promote the success of Race for Education, which encourage student and classroom participation (e.g., Treasure Box Prize Cards, Snack Cards, No Uniform Passes, Hat Day Cards, Ice Cream Parties, Ribbons, Popsicles, $25.00 “Kmart” and “iTunes” Gift Cards). Race for Education is great fun for the students, no hassle to parents, and will fully benefit our school’s educational program!